in the ancient Thai capital Ayutthaya. 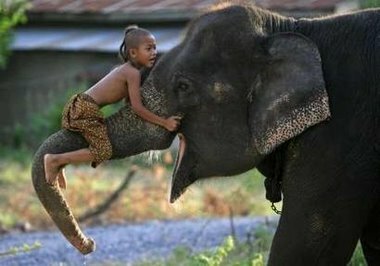 Maniyak: He ain't heavy, he's my brother. Also found at Yak's: An elephant in need of both a caption and a mahoutectomy. I was thinking: Who's the real Dumbo? Fluffy: One of Jolie's children try to take on the GOP.